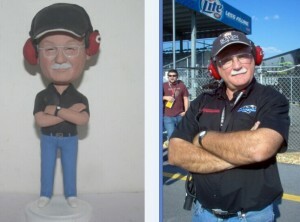 Custom bobblehead doll from your photo! 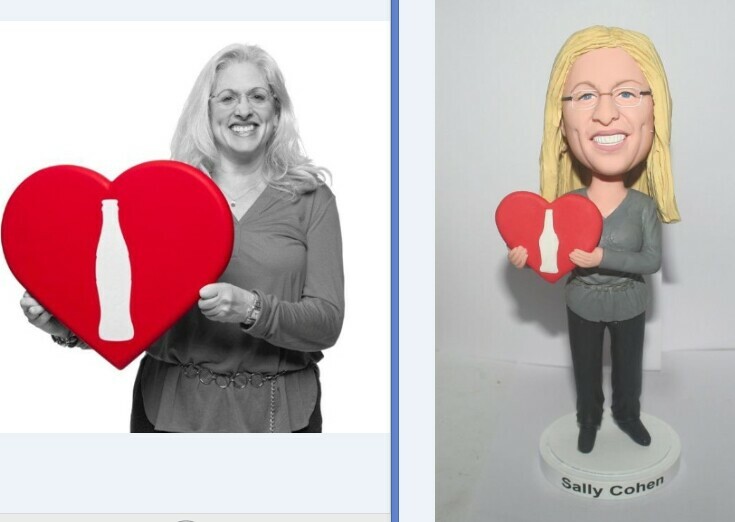 How to measure quality levels custom bobbleheads? similarity, it means the similarity with the pictures of you,you know,we handmake the bobblehead from your pictures.The price of a custom bobblehead is about 80-100 USD.It is 100% handmade from your pictures,that is the reason why it is much more expensive than a ordinary bobblehead which cost 10USD . 2. Material,there are 2 kinds of materials,the one is polymer clay and the other is poly clay. A. The advantages of polymer clay: naturally glossy and delicate look, durable , long-life color retaining,no smell,each part made separately, 100% 3D likeness, 100% hand made.The disadvantages of polymer clay: complicated production process , request for superior skill, small flaw like fingerprint or little crack. B, the advantages of poly clay: semi-hand,easy to produce. 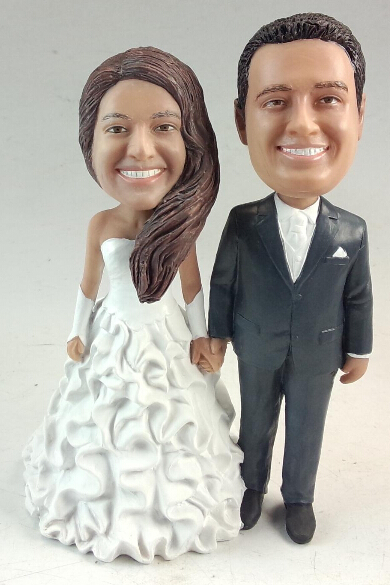 The disadvantages of poly clay:dull color caused by paint, 3D effect not perfect, not durable,90% of custom bobblehead are made of this material. This entry was posted in Custom bobbleheads on May 27, 2014 by admin. 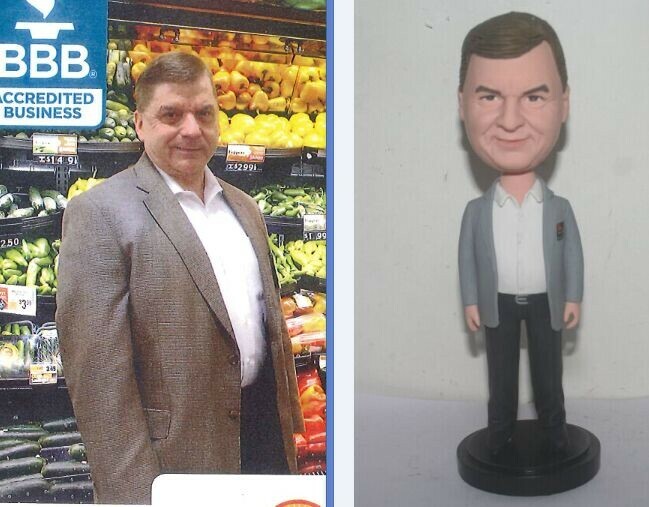 How do I get a bobblehead of myself? winter liu on I was confused about what gift I should buy for my husband. A fashion leather jacket?